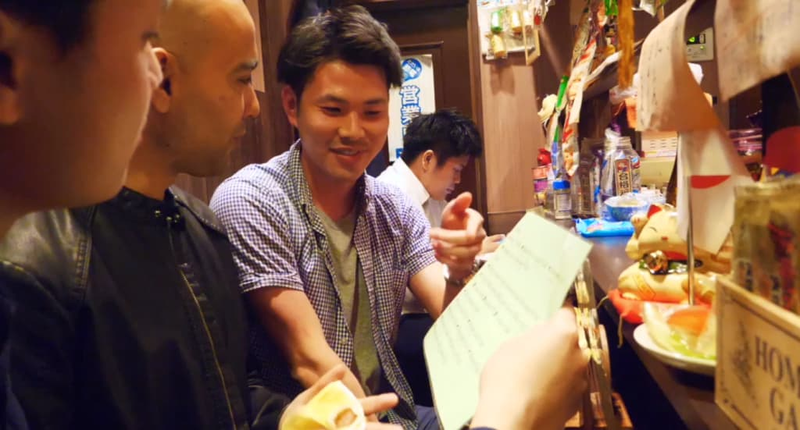 [2017’s Travel Trend of Night Life in Tokyo] Why does this 24-yr old local “bar-hopper” gather so many foreign travelers? Over 20 million travelers came to Japan in 2016. This is about 3 times as much as it was 10 years ago. Some reasons for this rise could be Japan as a whole working towards the Tokyo Olympic Games in 2020, but more over, we believe that companies and organizations who provided sightseeing locations / activities / tours in the major cities over the past 5 years played a huge role. Many locations now have English menues, and even have staff who can speak Chinese and/or English.Among all these players who provide these services, there is one person who is making a name for himself through his “unique experiences” that he offers. 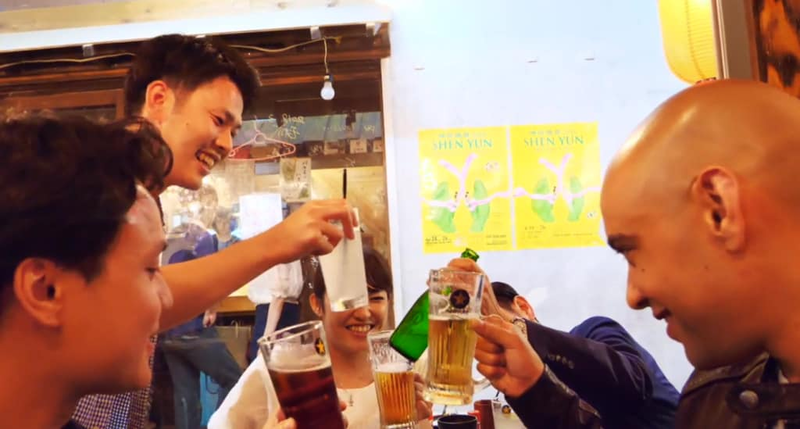 His name is Yusuke, a 24 year old, who through his reservation site, sent travelers on Japanese drinking culture tours. Why does his experience attract so many tourists? Why does his bar-hopping experience attract travelers? On average, he takes his travelers on a 4 to 5 day bar hopping tour in local food alleys, making it a tour of drinking every night. Before we were unsure why his tours were so popular but, after interviewing tourists who booked the tour through MagicalTrip (Event Booking Site), we found the three key reasons. You can taste foods and drinks that are typically not seen at Japanese Izakayas. Allows for interaction with the local community and locals. The tour begins from the west entrance of Tokyo’s Shinjuku station. 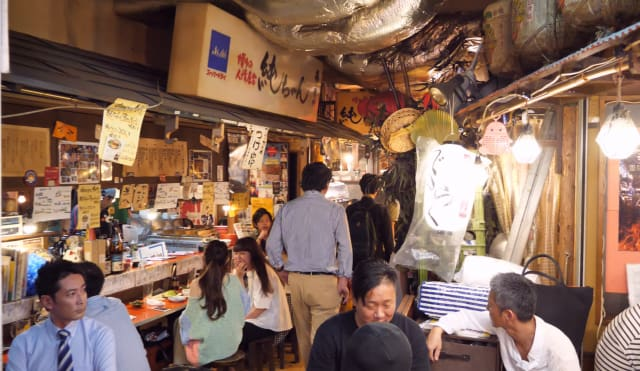 In the immediate vicinity, there are small stalls, and an alley full of izakayas. 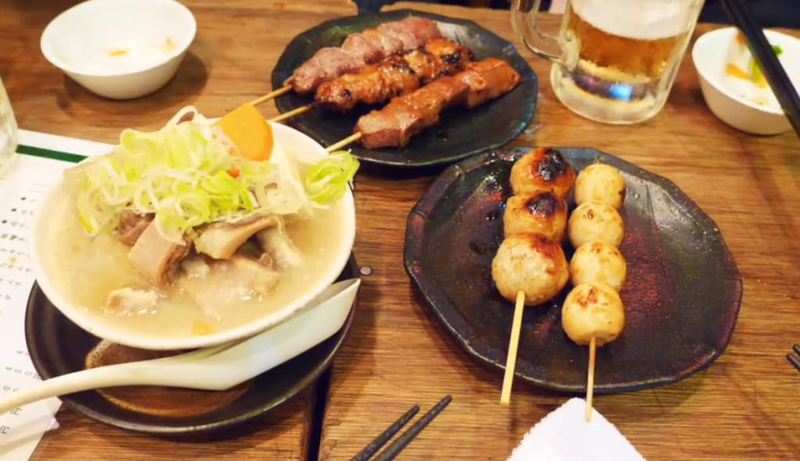 The first stop is a yakitori shop where you can enjoy sitting outside and drinking. Since this is a tour, the seats are prebooked and secured. The second stop is a Izakaya that specializes in Japanese sweets and snacks. There are only 7 to 8 seats in the shop and everyone has to stand up when one person wants to leave. This spot is often filled with Japanese businessmen, college students and Office Ladies who enjoy getting tipsy off some cocktails. These places create an unique environment that is fresh and new for travelers coming to Japan. He followed to order a staple dish in Izakaya, the boiled beef stew, thick-baked egg, and sting ray fins. These are his go-to choices when going to Izakayas. He is also very flexible and can usually match the needs to the travlers upon request. Just to name a few of the stores he could take you to are meat sushi shops, and bars that only serve fresh vegetables. Most of these izakayas are small and you would usually sit to strangers so starting a conversation with your neighbors is pretty easy. One of the challenges in the tourism development of Japan is the nightlife tours. For many foreigners visiting Japan, there are only nightclubs and shows that they can go too. However, this young bar-hopper is creating a great tour to experience the izakaya culture of Japan. If you want to enjoy a night life in “Shinjuku”, why not join a bar-hopping tour. The tour will take you to “Omoide Yokocho” in Shinjuku, “Ebisu Yokocho” in Shibuya, etc. The guide will take you “Izakaya” in a small alley-way which you can hardly find yourself. Even they will arrange reservations for those places which are too crowded to get in. Check the detail of Tokyo Pub Crawl Tour.